18K Gold Overlay S S Tsavorite Garnet Ring 1.25 Ct.
ILIANA 18K W Gold Ring Gold Wt. 4.10 Gms. ILIANA 18K Y Gold Mahenge Spinel Ring 0.90 Ct.
ILIANA 18K Y Gold Kagem Zambian Emerald Ring Size O 0.500 Ct.
ILIANA 18K Y Gold Paraibe Apatite Ring 1.00 Ct.
ILIANA 18K Y Gold Tsavorite Garnet and Diamond Ring Size O 0.750 Ct.
ILIANA 18K W Gold Rubelite Solitaire Ring Size O 0.750 Ct.
ILIANA 18K W Gold Solitaire Ouro Fino Rubelite Ring Size O 0.750 Ct.
ILIANA 18K Gold Tanzanite and Diamond Ring, 0.59 Ct.
ILIANA 18K Y Gold Kunzite and Diamond Ring 1.60 Ct. 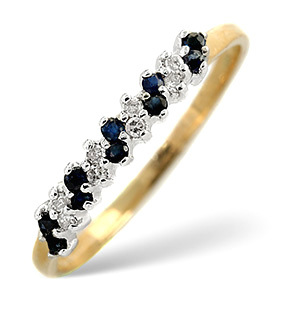 Elegant and sophisticated the choice of 18ct gold rings here at Rings.org.uk cannot be ignored. With a mix of classic and modern designs, there are many 18ct gold rings available to buy. A little more expensive than their 9ct gold rings cousins 18ct gold rings carry an air of excellence. 18ct gold rings make exquisite birthday presents, Christmas gifts or for celebrating an anniversary. These magnificent rings can be worn as 18ct gold wedding rings and can be bought with matching designs for ladies 18ct gold rings and mens 18ct gold rings or his and hers rings that you’ll love to wear in your married life. Mens 18ct gold rings are typically larger and mens 18ct gold wedding rings can be worn on his ring finger or on a chain around the neck or wrist if preferred. Rings within the mens 18ct gold rings category can be signet rings, family rings or club rings with crests and personal engravings. Engraved 18ct gold rings are beautiful lifetime reminders of your special occasion, whether a wedding, a birthday, perhaps the birthday of a child or special words in a phrase or text. Simply ask your local engraver to add the special message to your 18ct gold rings either on the inside or the outside as preferred. For anyone allergic to silver or nickel the choice of 18ct gold rings is perfect as gold is a non-toxic metal that can be worn next to the skin. Yellow gold 18ct gold rings and white gold 18ct gold rings are luxury rings for men and women alike. Consider choosing an 18ct gold ring with diamonds as well. Diamond 18ct gold rings are popular eternity rings or full band rings and the circle of diamonds will sparkle on your fingertips.